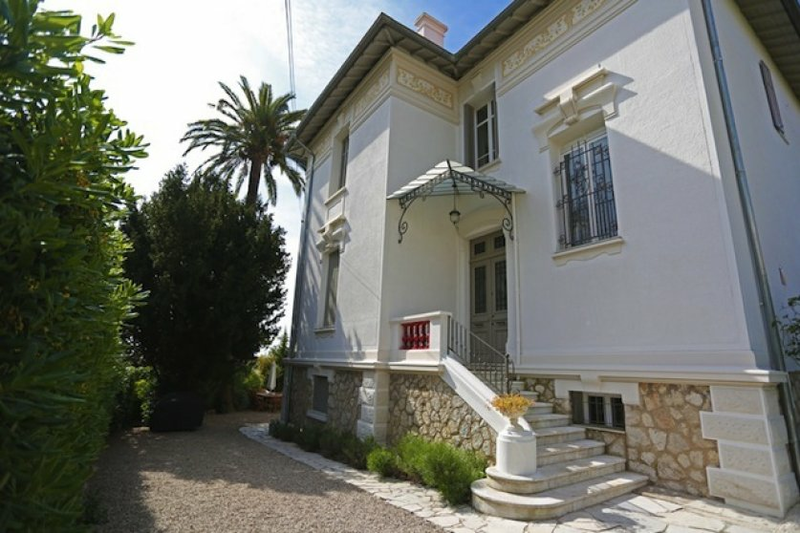 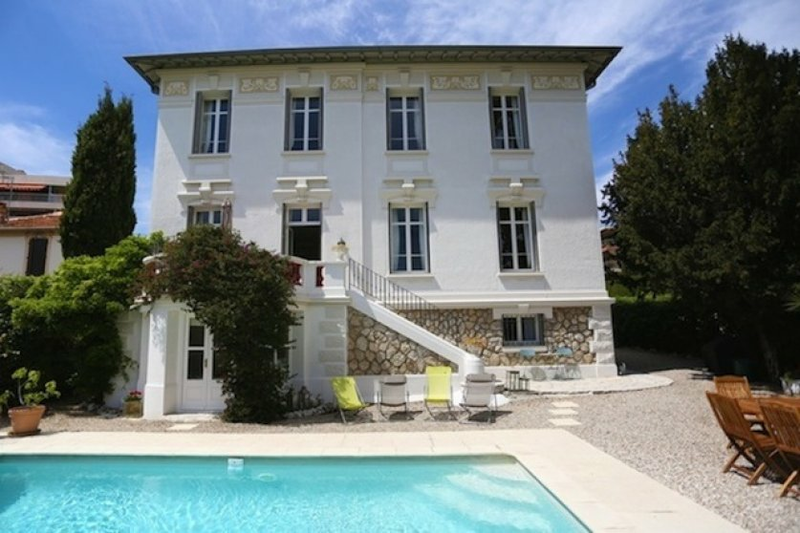 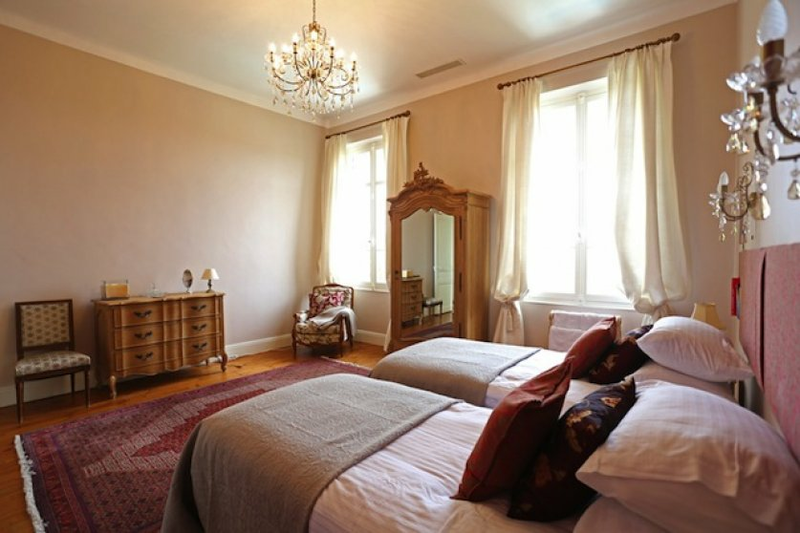 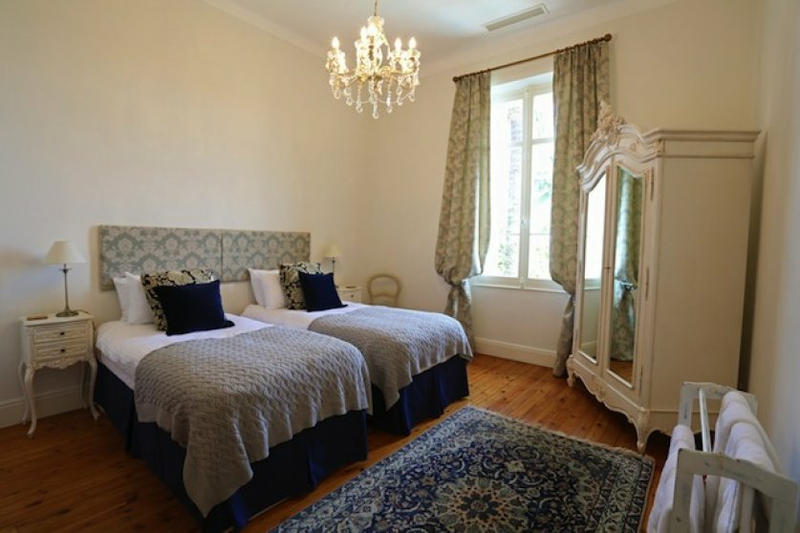 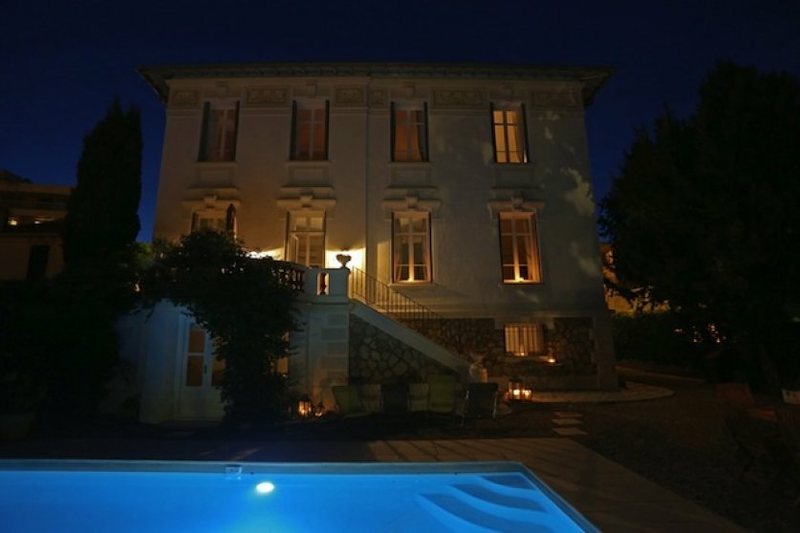 Beautiful Belle Epoque villa from the early 1900’s recently renovated situated close to the centre of Cannes and just a 10 minutes walk from the Palais des Festivals, La Croisette and the beaches with stunning views of the Bay of Cannes and the islands. 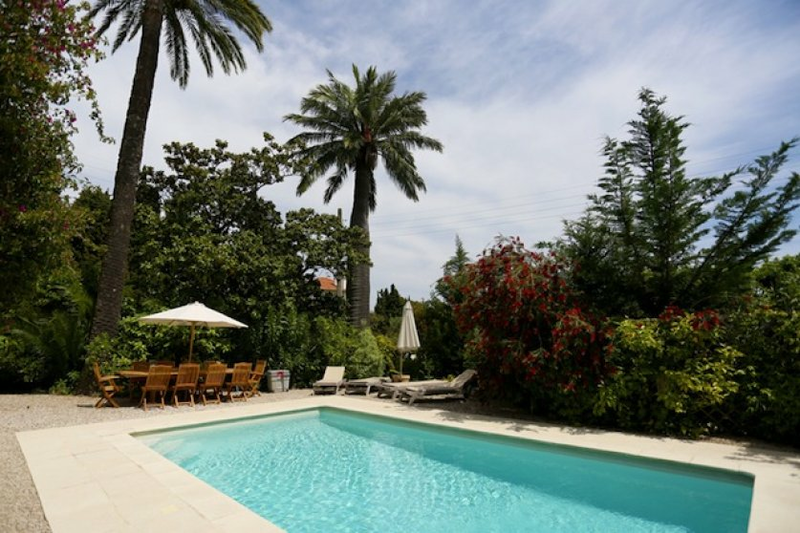 The villa accommodates up to 12 people and offers 6 bedrooms, 4 bathrooms, 4 reception rooms, 2 kitchens, 2 terraces, a lovely garden and pool. 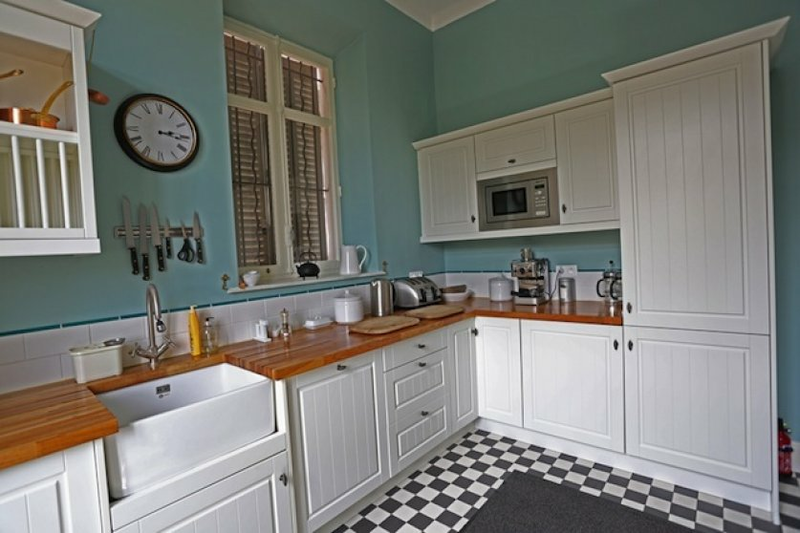 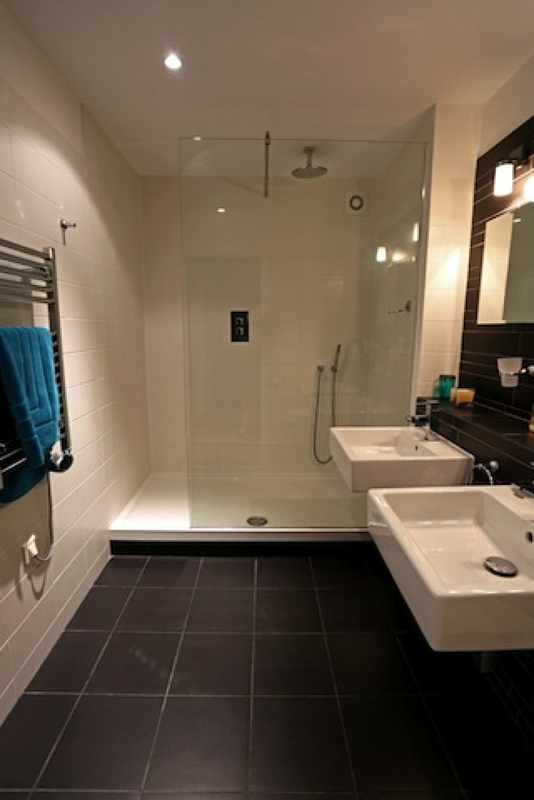 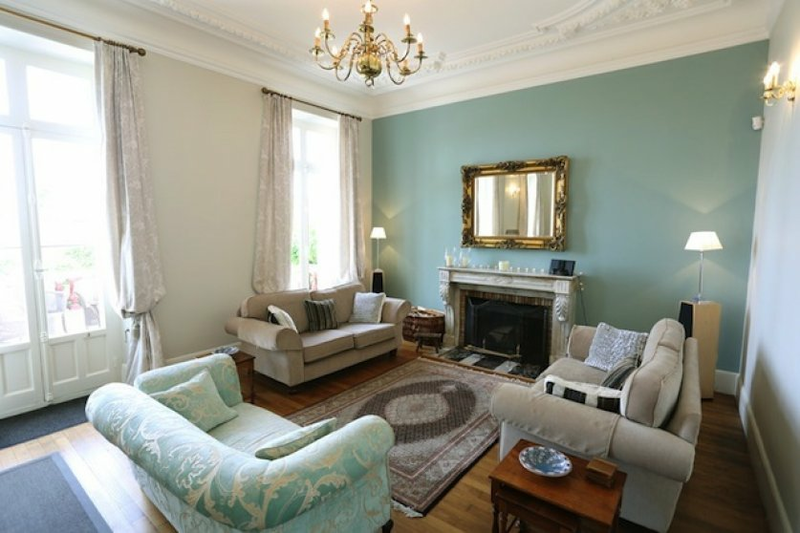 This unique property has been carefully restored to maintain many of its original features and at the same time has been modernised by the installation of contemporary bathroom suites and kitchens. 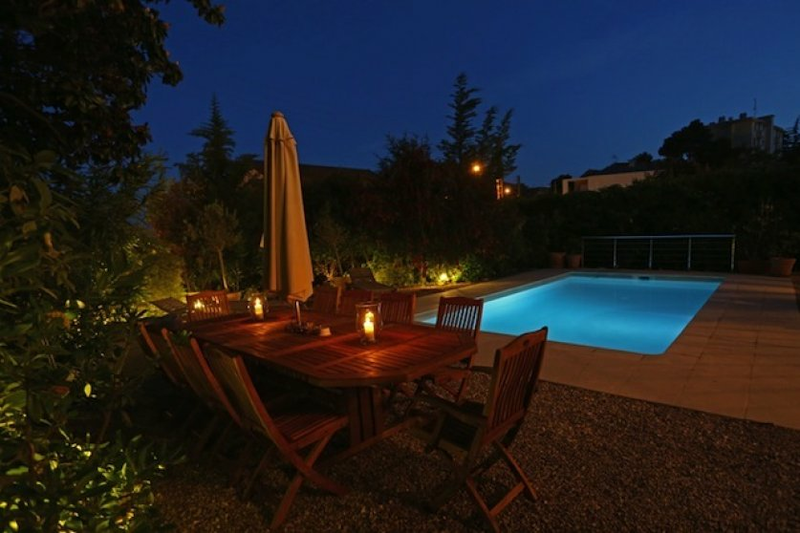 The 300m2 villa offers accommodation on three levels. 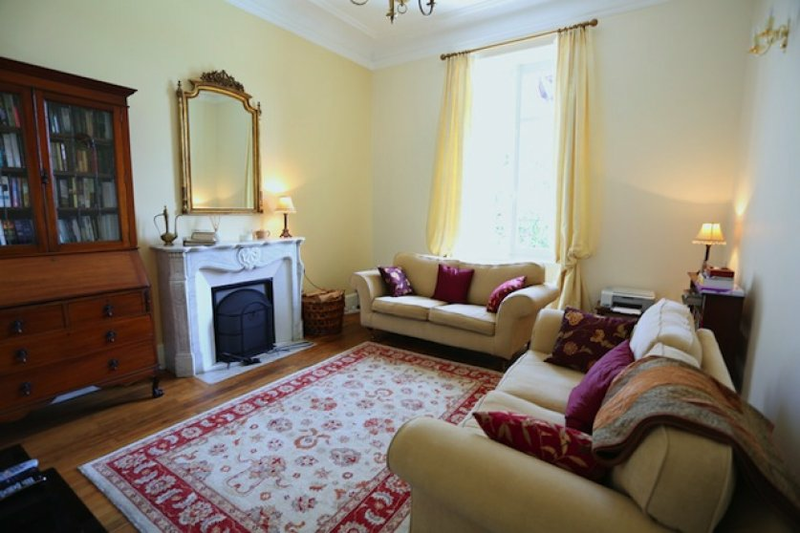 In total there are 6 bedrooms plus a lounge with a full sized sofa bed to create an extra bedroom if required. 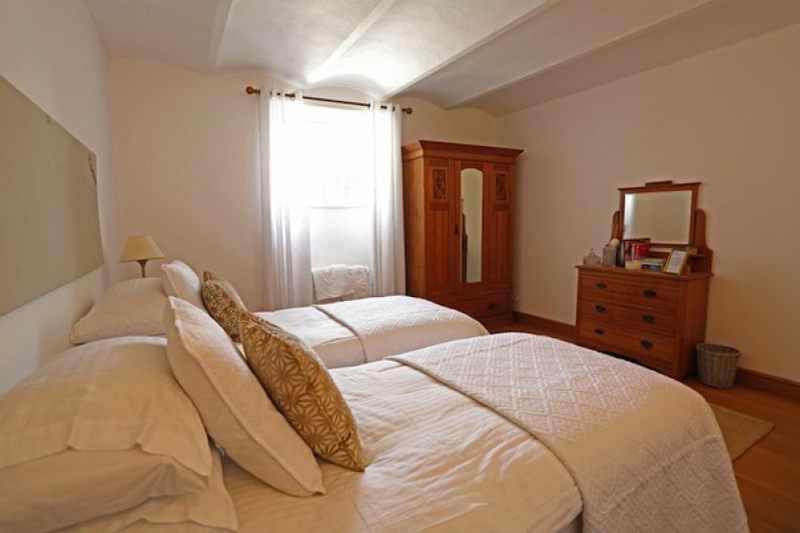 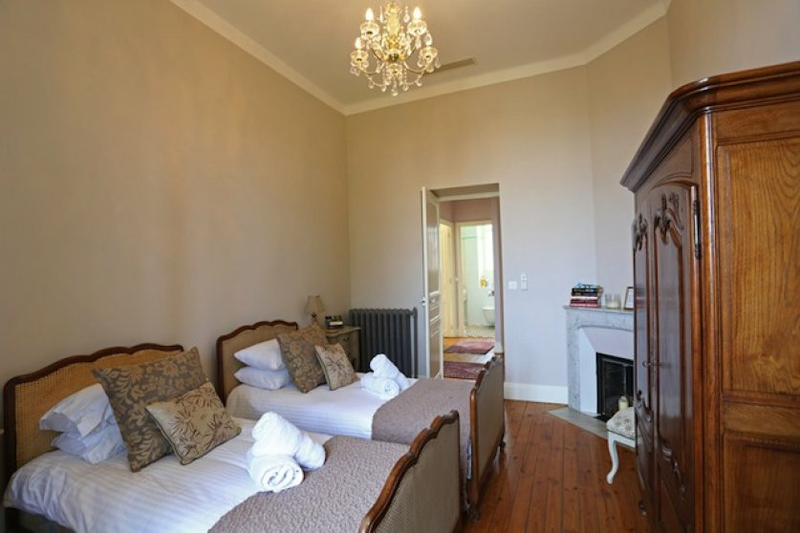 All the bedrooms have solid oak or antique pine floors, 4 bathrooms fitted with superb quality sanitary fittings and fixtures, 2 kitchens one of which has been fitted with professional Rangemaster oven, 2 dishwashers, two fridges, freezer and microwave. 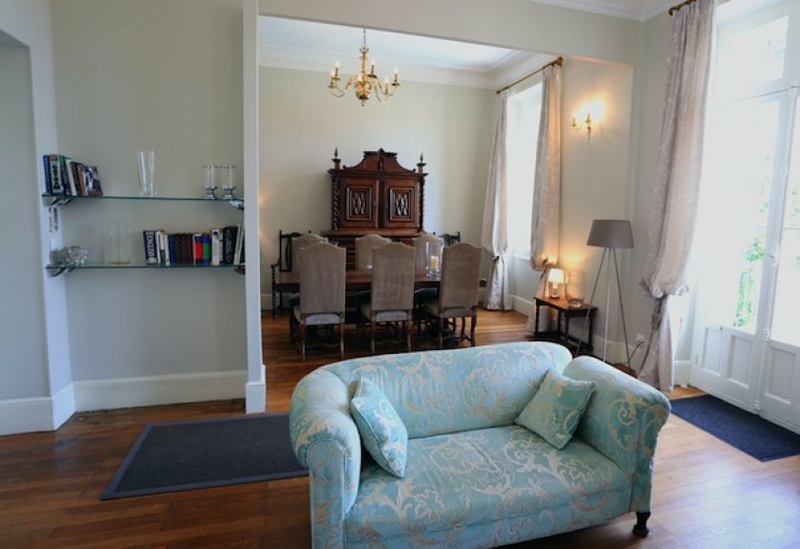 The reception rooms have been beautifully and tastefully decorated and furnished with a combination of antique and contemporary furniture. 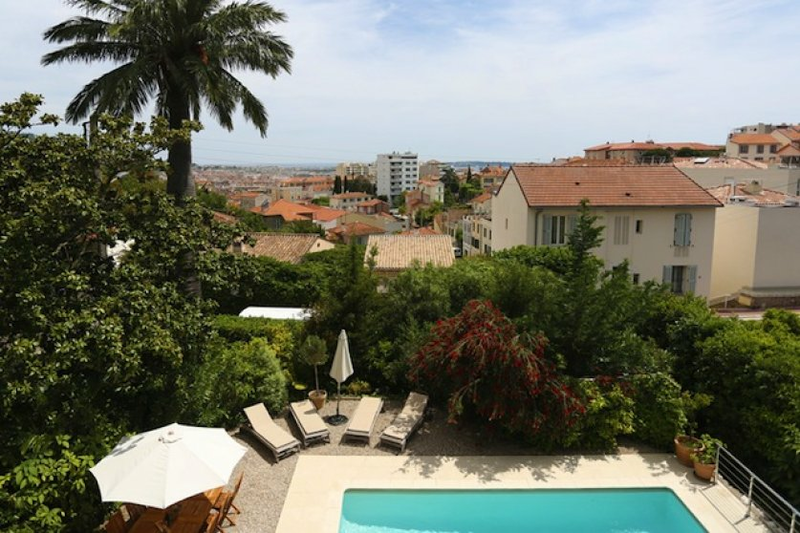 The large garden provides space for parking 4 cars as well as outdoor seating and tables for entertaining. 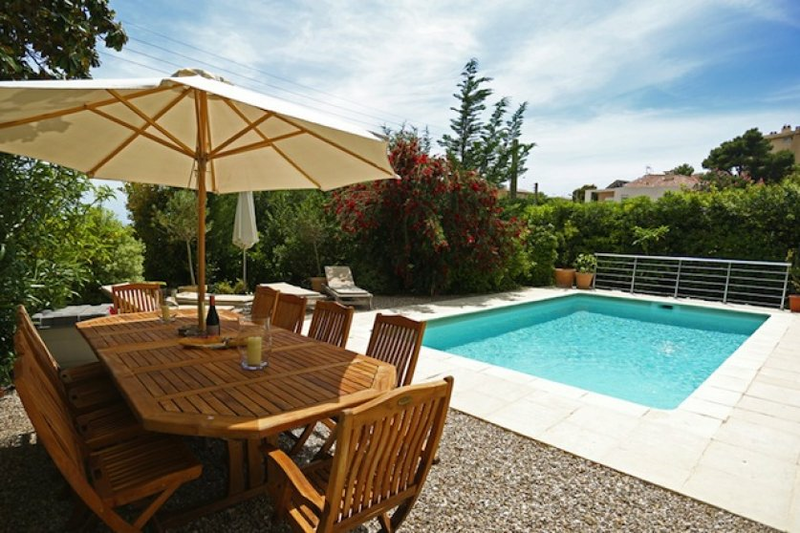 The swimming pool of 7 x 4m has a sunbathing area with sunloungers and parasols. 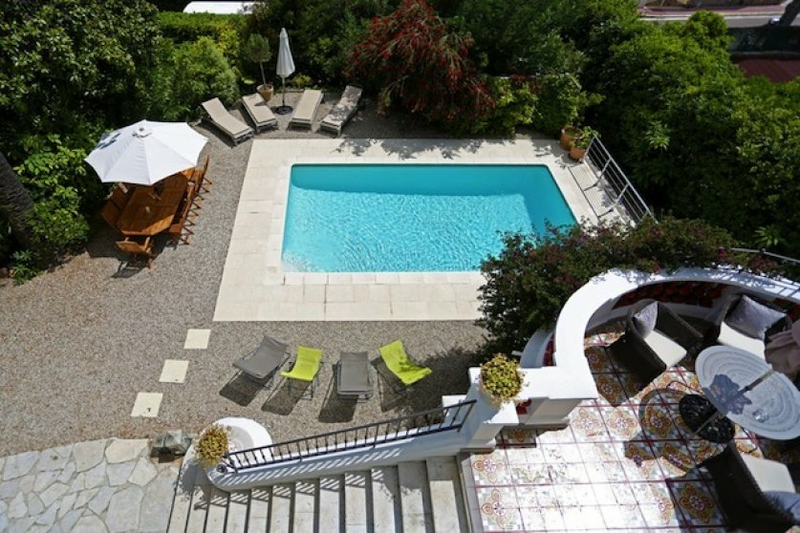 Ideal for holidays and congresses. 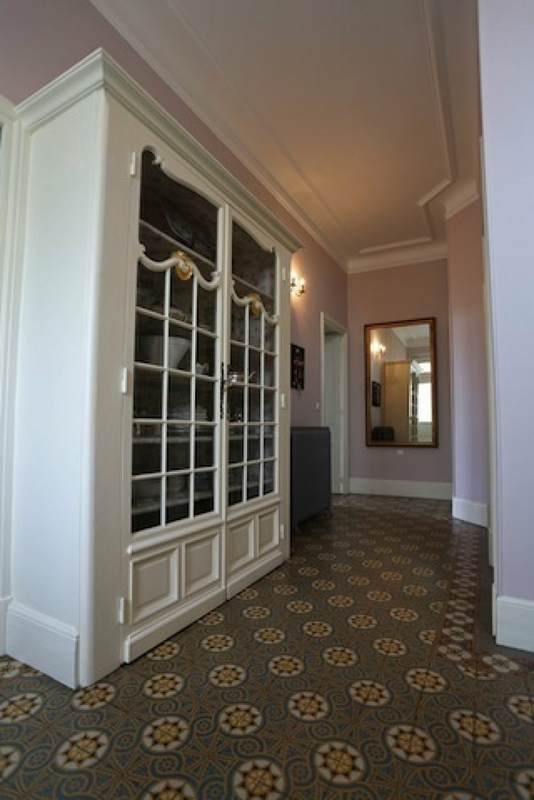 Located just 300m from local amenities such as Boulangerie, greengrocery and post office.